I love animal everything, but it must be done well. You have to mix prints just so, and a cheap animal print fabric or faux fur can just ruin a project. Remember this? 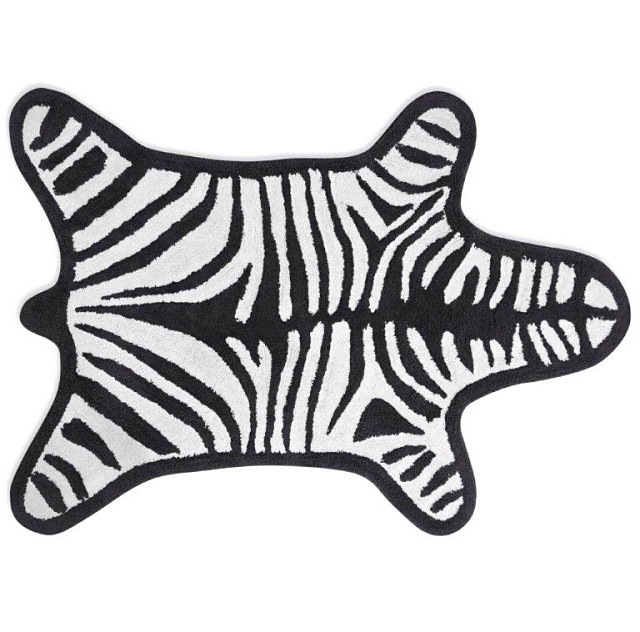 That being said, I am in love with faux zebra rugs right now. I think they would be awesome for anyone, from a baby to a teen to anyone young at heart looking for a funky (and cruelty free) vibe. You can get one in any of the colors from the rainbow. Jonathan Adler has a nice selection of colors, but at over 1K, you might break the bank. If I were buying one, I’d probably look on sites for kids rugs in order to find a better price. What do you think? 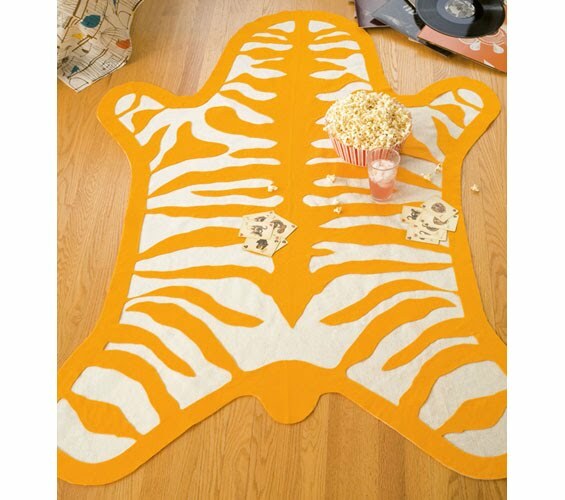 Would you take a walk on the wild side with your home decor?